Part two on how to make a bowling game in virtual reality. Be sure to bring your motion controllers! Hey, guys. This is the final part of the bowling game tutorial. By the end of this, you will be able to play your own bowling game! 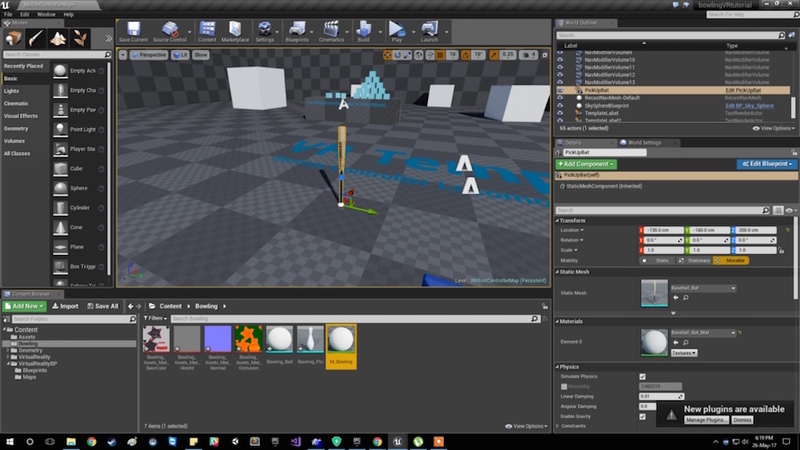 In the last tutorial, we made a bat and made it interactive. We now need to do the same for our bowling ball and pins. Make a new level or make a new project (a new level is just another screen, in other words). Navigate to File > New Level. Click on "M_Bowling" (materials) for the bowling ball and pins. 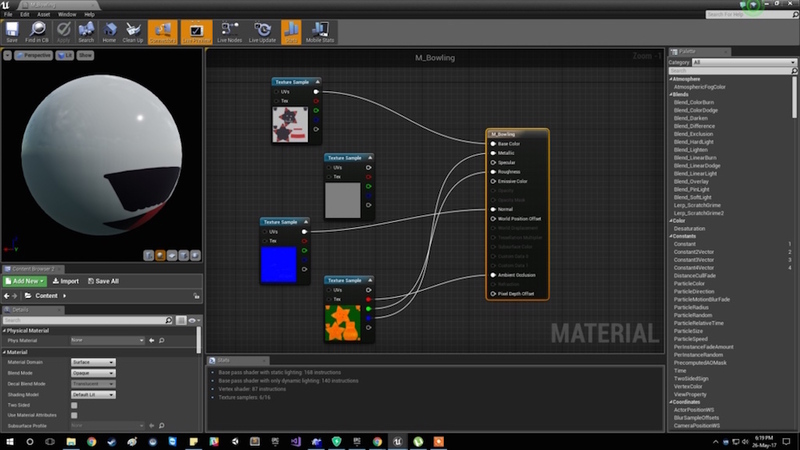 Copy all the materials imported in its blueprints, like we did in the last tutorial. If you want to make it look like the same way in this tutorial, you can copy the settings in the image below. 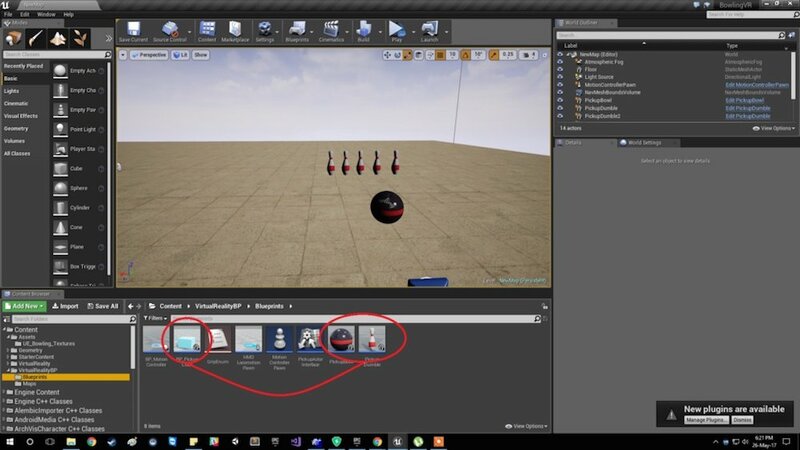 Now, just like the last tutorial, to make our ball and pins interactive, navigate to VirtualRealityBP > Blueprints and make a copy of "PickUp_Cube". You need one for the ball and one for the pins. Note: Don't forget to change them with the bowling ball and pin static mesh in Viewport; otherwise, it won't work. Fantastic! Now we're done. You can see I have also changed the texture of the ground and scaled it up. You can do this by selecting the ground and changing it in the detail window. You can also make multiple copies of the pins. Try not to laugh at my awesome virtual bowling skills! Bravo. Now we are done! You can do many things with this. Maybe try adding a boundary or wall, like at a carnival! Enjoy!